Ben Manson has become synonymous with the Parisian electronic gay scene. He started his career in 2000 at Enjoy!! !, an after party in a gay sauna. In 2002 he joins the Queen Club, Cab (GTD) &amp; Mix Club resident team where he has djed with many notable international Djs. During that period, Ben Manson became a part of Walkgroup (djs &amp; events agency). In 2008 he became the only resident of Scream, the biggest French gay party. 2008 was also his debut in studio in duet with Teo Moss: their first track &lsquo;&rsquo;From Hell To Paradise&rsquo;&rsquo; was dropped in 2008 on Sunset Records (a division of Factomania the Wally Lopez&rsquo;s label). For years now, Ben has taken the world from Barcelona, Rio or Sao Paulo to Brussels, Cologne, Zurich, Montreal, London,… He has featured in clubs and events like Souvenir, Gorgeous I Am, Space Ibiza, We Party, Pacha, Supermartx&eacute;, Circuit Festival, EuroPride, Dance4life,….. 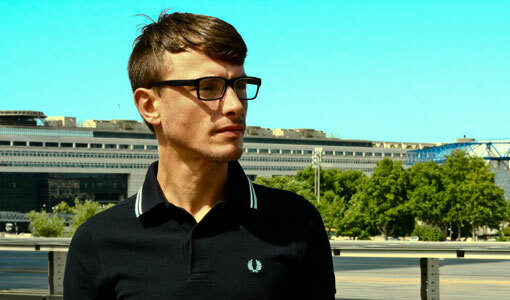 When in 2009 Ben joined the dream team of La Demence, he imposed his style and a new fresh sounds for the closing session of the party on the 2nd floor.